An exciting part of your child starting preschool is that he or she may begin having play dates with friends from school. These play dates are different from the ones that kids have when they are younger, when kids typically end up playing with the kids of their parents’ friends. Preschool play dates are instigated by the relationships kids build at school and are a vital part of child development. One tricky area to navigate with these play dates is how to make sure siblings don’t feel left out. 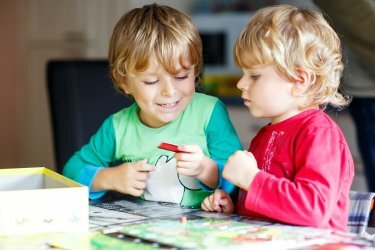 When your child starts preschool in Pembroke Pines and begins having play dates, keep the peace with siblings with these strategies. Before the play date starts, get all of your kids to sit down together and talk about what to expect. Talk about activities everyone can do together, such as baking cookies, and also about things that the child who is hosting the play date wants to do alone with his or her guest. Talking through the ideas in advance will help siblings understand their role in the play date to reduce the chance of conflicts occurring. If you force your preschooler and his or her friend to include siblings in all of their activities, everyone will feel resentful. Your child and his or her friend will also lose out on the opportunity to practice their relationship skills and build on this important part of child development. Make a rule that siblings have to be kind to each other, but don’t force kids to play together. Without the pressure of forced inclusion, you may be surprised at the way that kids actually reach out to each other. Prevent siblings from feeling left out by finding other things for them to do. You may ask them to help make snacks for everyone, for example, or you may take advantage of the opportunity to have one-on-one time together. This can turn play dates into a positive experience for everyone. 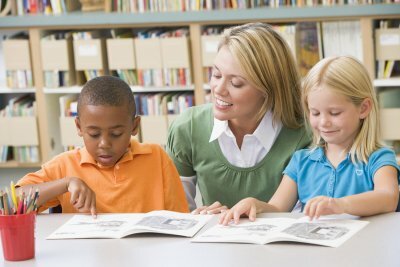 At some point during early childhood education, children must make the transition from part-time programs to full-day school. As a parent, it’s natural to have some concerns about making this change and how to support your child through it. 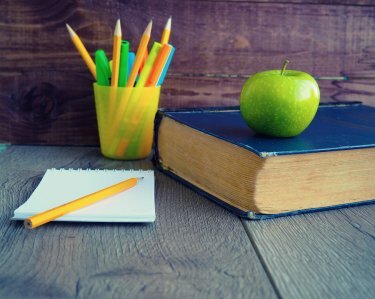 If your child is about to make the switch to a full-day early education school in Pembroke Pines , here are some things you can do to make the process easier. Having a stressful morning sets kids up for a stressful day. Having a morning routine will help you prevent this. Do what you have to do to make sure that your child has plenty of time to get dressed and have breakfast in the morning without feeling rushed, such as setting out clothing the night before. Make sure your child knows what to do when he or she wakes up, and stick to the same plan every day to get things off to a smooth, peaceful start. One of the biggest adjustments kids have when they start a full-day early childhood education program is that they are away from parents for an extended period time. Having a little piece of home with them can help. Consider taping a family picture inside your child’s lunchbox or letting him or her bring a favorite stuffed animal from home for naptime, if the school allows it. These things will help your child feel connect to you even when school lasts all day. It’s normal for young children to need time to fully make the adjustment to full-day school. Be patient and supportive, and don’t try to rush your child. When you’re anxious, your child will be on edge as well. Stick to the schedule and give your child plenty of time to adjust. He or she will eventually fall into the routine and happily head off for a day at school. When you are exploring options for early childhood education programs for your child, school accreditations are important factors to consider. At Tanglewood Academy, we’re pleased to have passed the stringent requirements necessary to receive an APPLE accreditation from the Florida Association for Child Care Management, demonstrating our commitment to early education excellence in Pembroke Pines. APPLE stands for Accredited Professional Preschool Learning Environment. There are strict program requirements for APPLE accreditation, including being a licensed child care facility in good standing with a compliant licensing history and inspections by the Department of Health or Department of Children and Families. All employees must undergo a background screening test, and the center must maintain a substantial number of books of appropriate quality. To keep the APPLE accreditation, schools must be recertified periodically and are subject to random audits to ensure that are consistently compliant with the program guidelines. Part of early childhood education is the development of both gross and fine motor skills. If your early education program in Pembroke Pines discusses your child’s development of these skills with you, it can be easy to get the mixed up. This video explains the differences. Gross motor skills refer to using large groups of muscles together in a coordinated way. The major activities your child does, such as running and skipping, involve gross motor skills. Fine motor skills involve the use of the smaller muscles in the hands. In an early childhood education program, things like coloring, cutting, and writing with a pencil are used to practice fine motor skills. Success in early childhood education begins with the right tools. Before your child heads off to preschool or kindergarten in Pembroke Pines, take him or her shopping for a new backpack. Very young learners won’t need to carry much, but having their own backpack can foster a sense of ownership regarding their education. For some quick tips on choosing the right backpack, watch this featured video. This expert discusses the importance of selecting the right size of backpack. Preschool students need a much smaller bag compared to elementary school students. Avoid having your child’s name monogramed on the bag, as this can be a safety risk. If your child is in first grade or beyond, look for a bag with a few pockets for better organization. Cushioned straps are also a plus. Most parents love to do as much as they can for their kids, but it’s also important for children to learn how to do things for themselves. When your child reaches preschool age, he or she will start taking steps toward independence. Your child’s preschool teacher in Pembroke Pines will support these tendencies by encouraging him or her to use language to express needs and wants , rather than resorting to temper tantrums. Children begin working on their language skills as soon as they’re born. By the time they reach pre-kindergarten age, at about four years of age, children are getting ready to learn how to read. At this stage, pre-k teachers in Pembroke Pines focus on improving their students’ verbal language comprehension, which is crucial for early literacy. 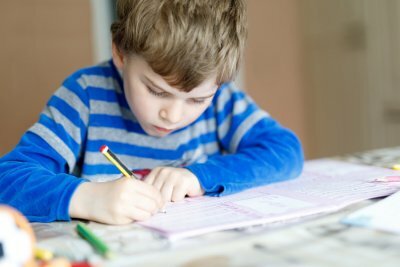 Talk to your child’s teacher about the language comprehension activities being used in the classroom, and ask about the activities you can do at home with your child. Act out scenes in books. If you aren’t already reading to your child daily, you should start right away. Pre-k students need intensive and ongoing exposure to reading materials, as this early exposure sets a foundation for literacy. In addition to reading aloud to your child every day, you can encourage him or her to dramatize the stories. Use hand puppets, dolls, or stuffed animals to act out scenes with the various characters. 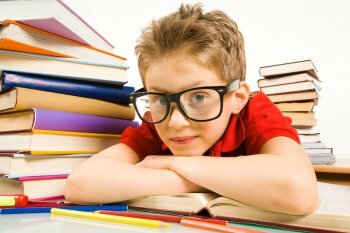 Children tend to ask for their favorite book to be read to them over and over again. Use your child’s intimate knowledge of his or her favorite story. Ask your child to tell you the story, using a puppet or doll as a prop. He or she probably won’t recite it line-for-line, but getting the gist of the story right is a sign of comprehension. Relate ideas in books to real-life encounters.